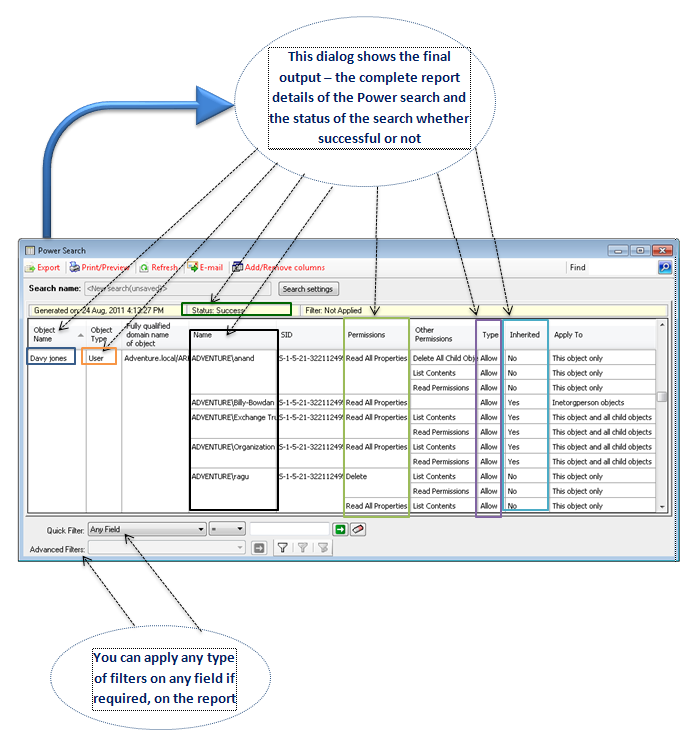 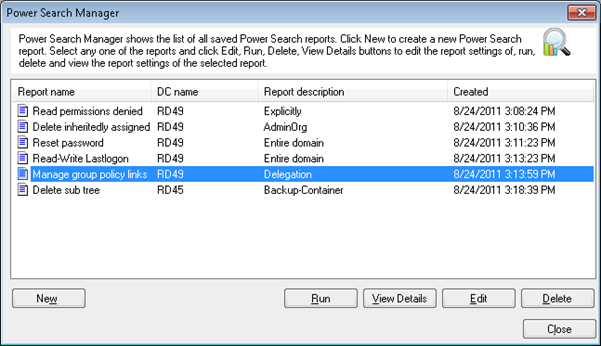 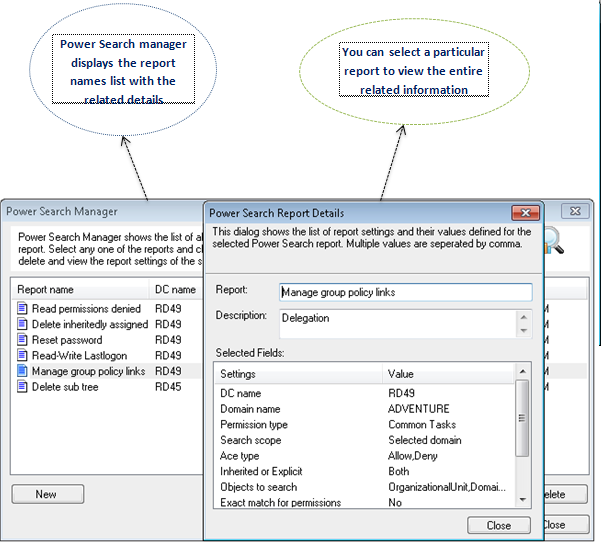 The new “Power search” feature enables you to perform granular and incisive search and analysis of permissions in your Active Directory. 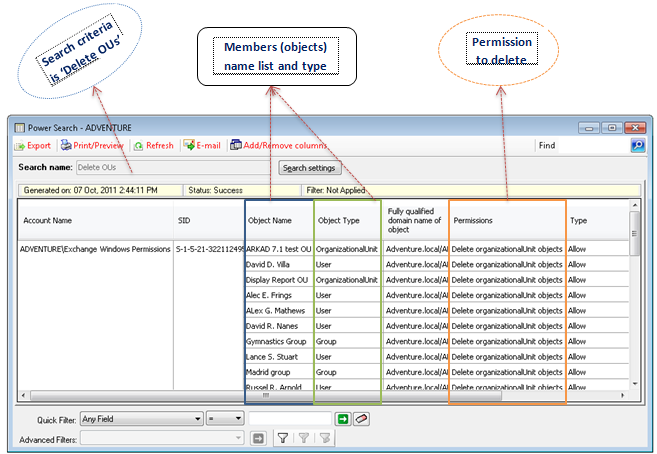 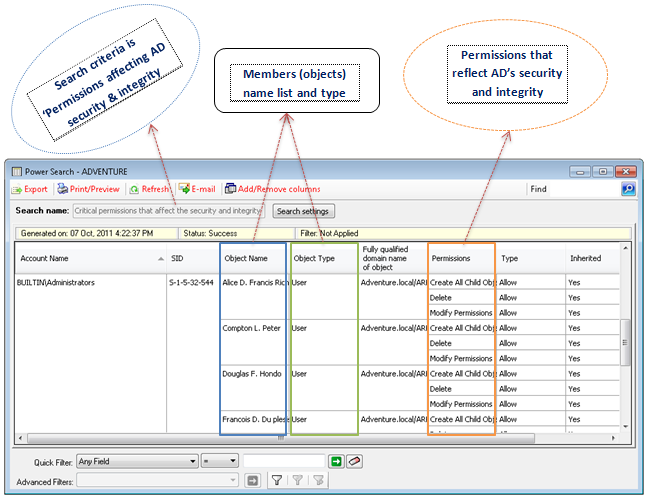 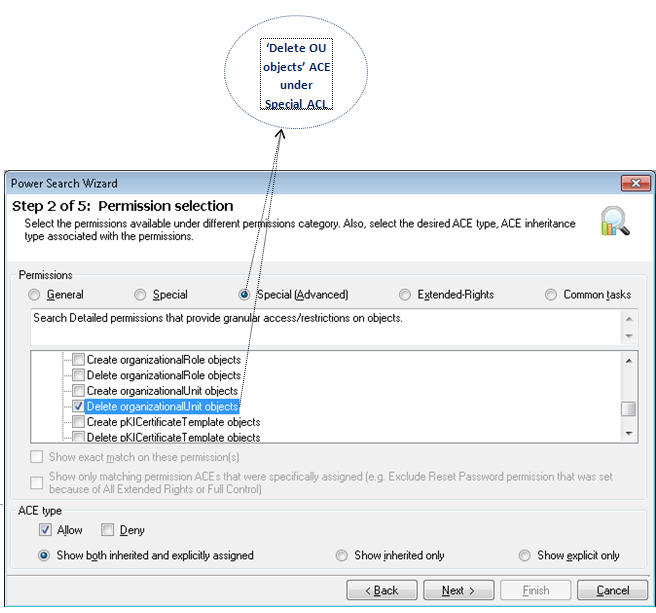 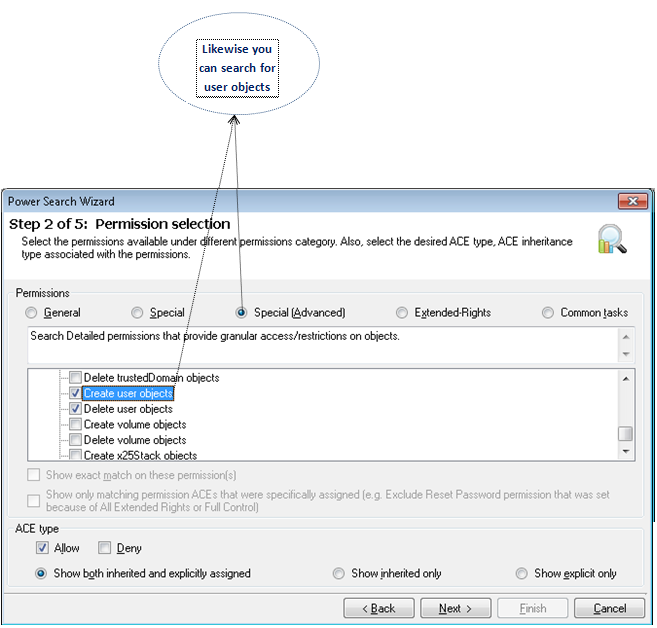 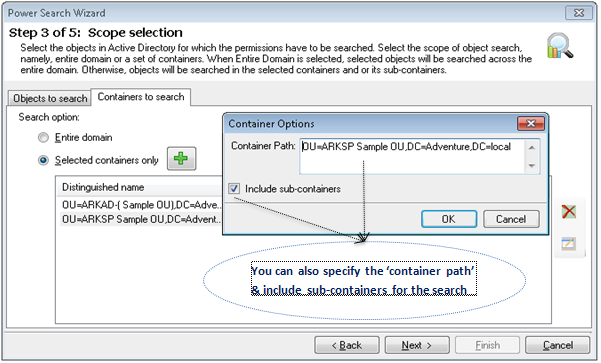 You can perform granular search on the AD objects permissions with efficient query definitions. 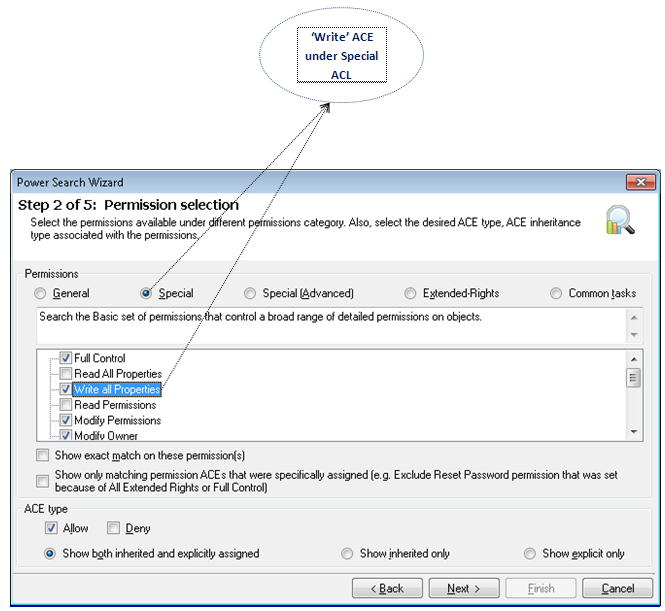 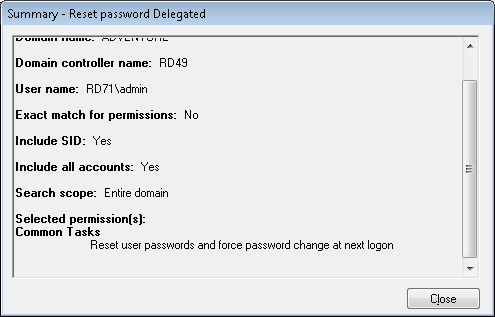 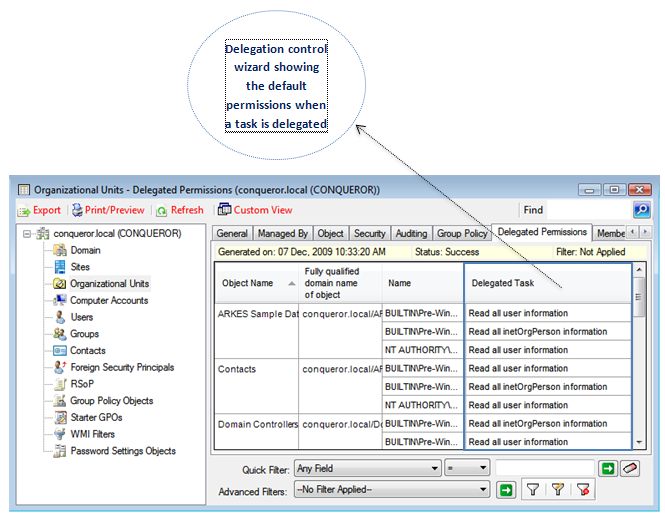 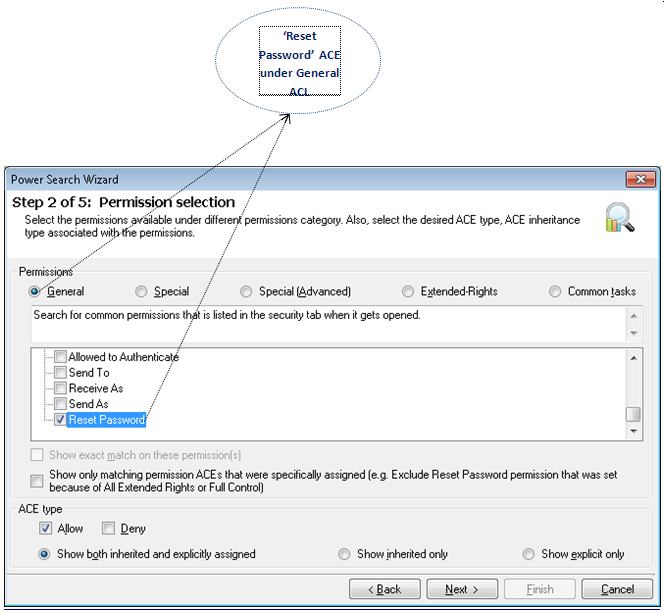 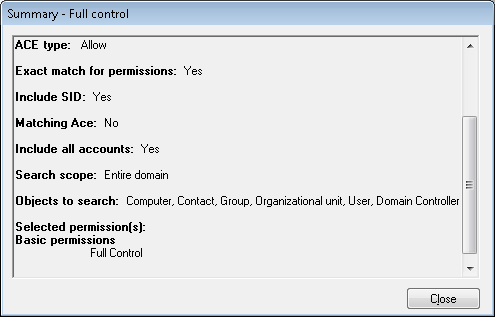 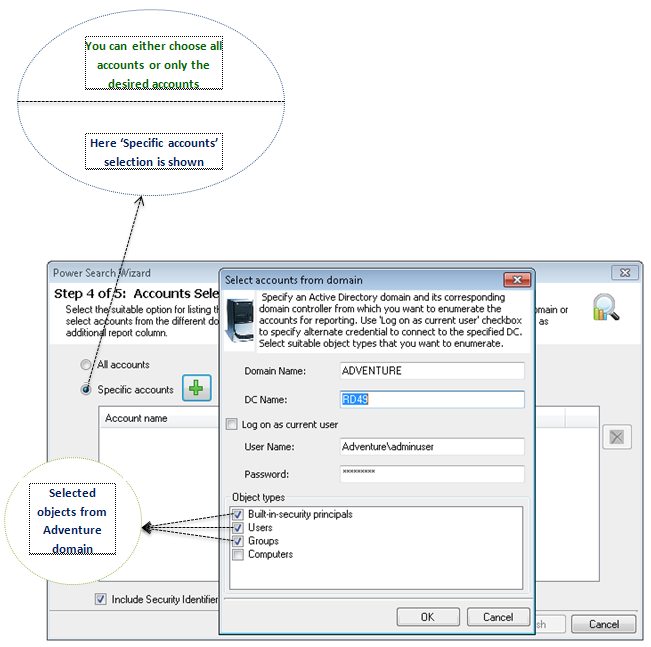 The scope of the search can also be specified within the Active Directory Options to search default permissions and selectively assigned permissions gives the ability to search extensively. 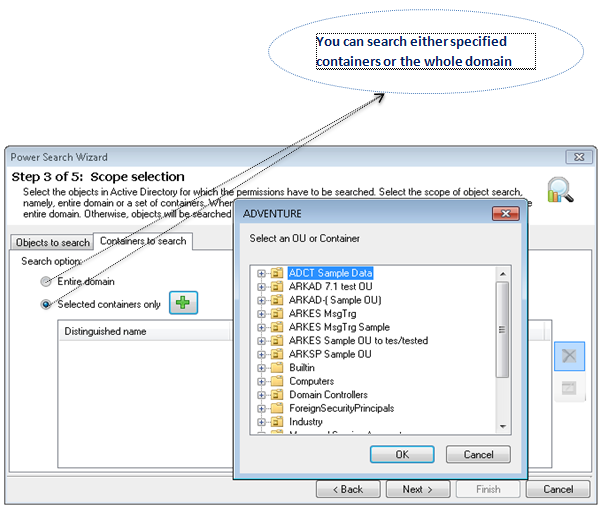 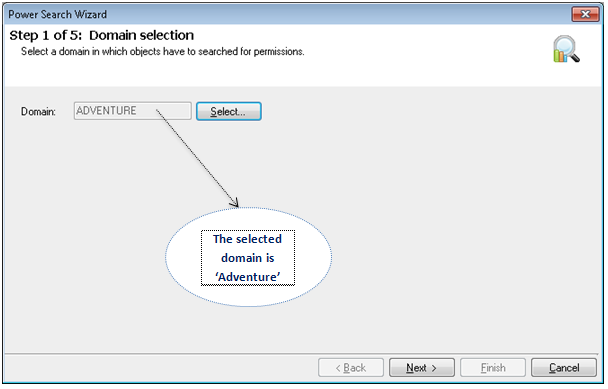 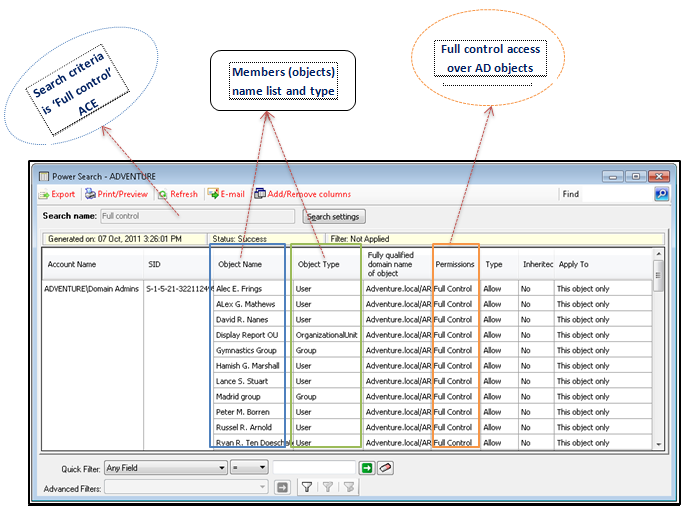 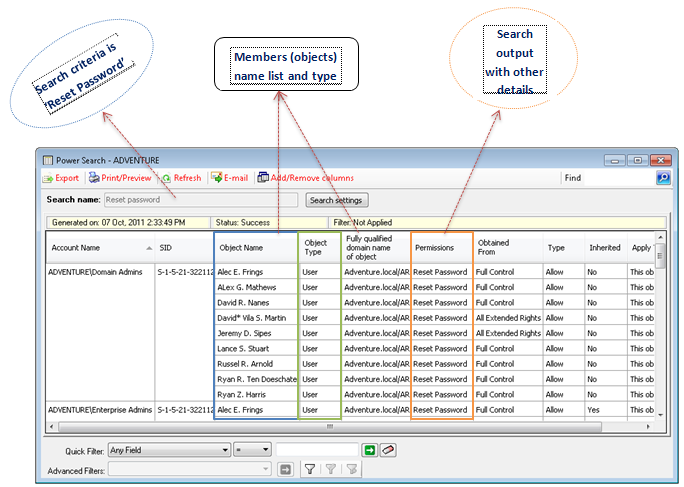 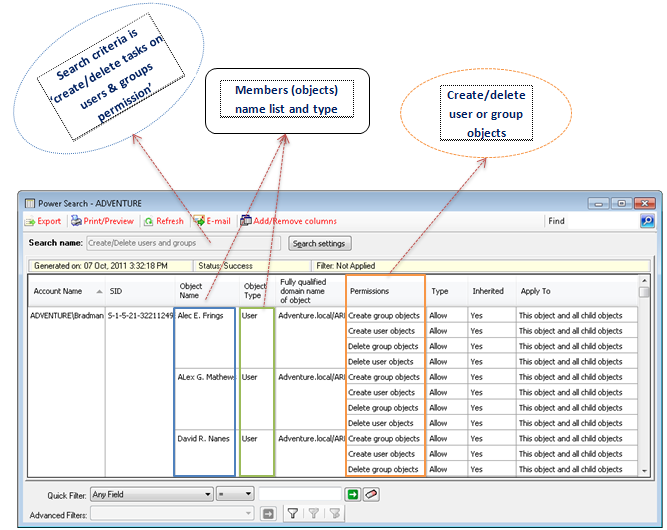 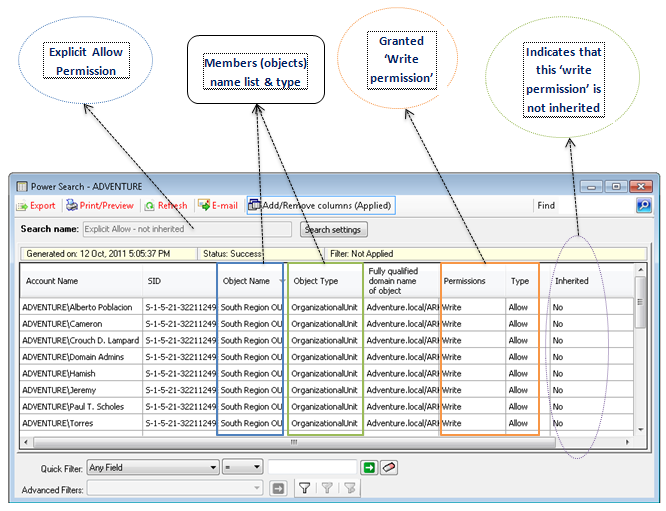 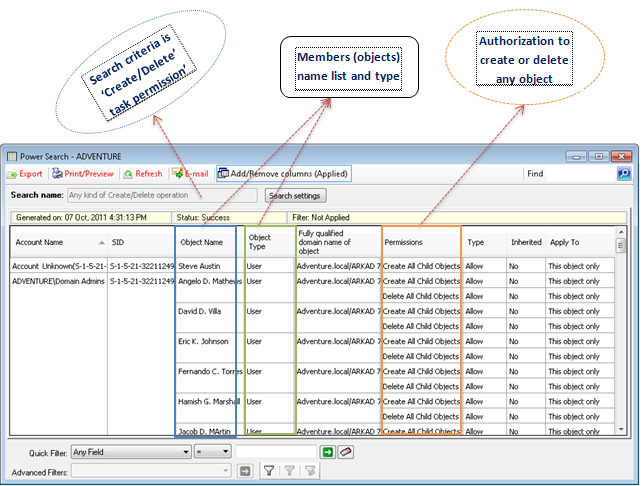 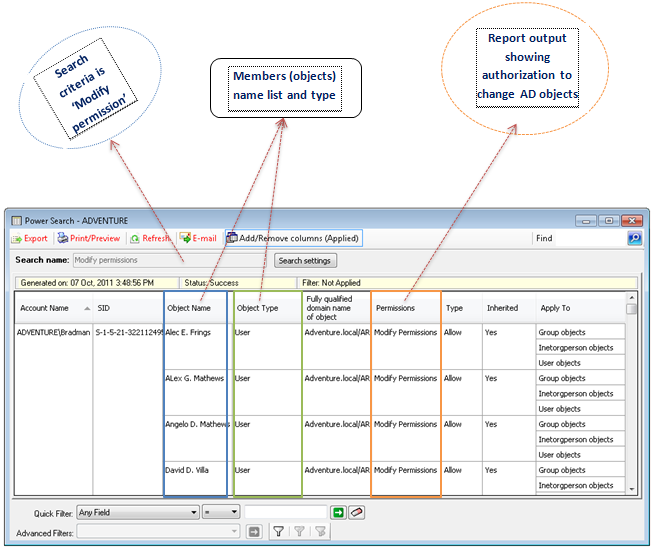 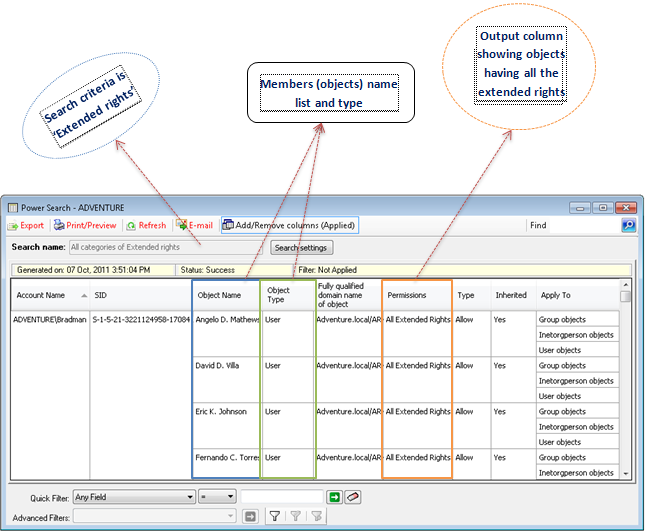 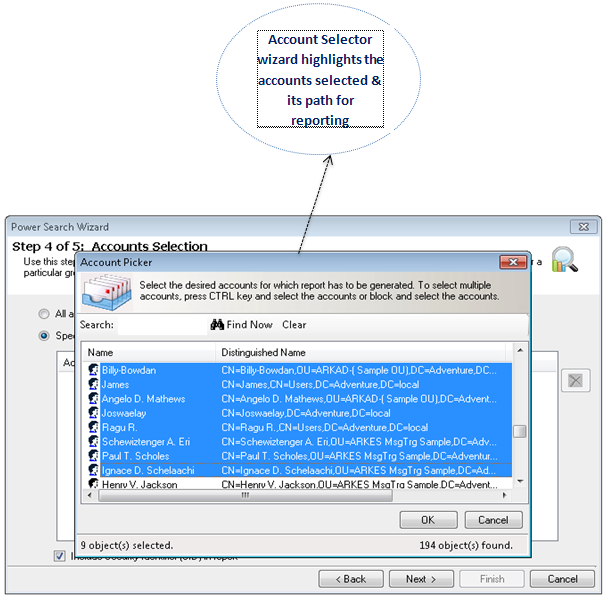 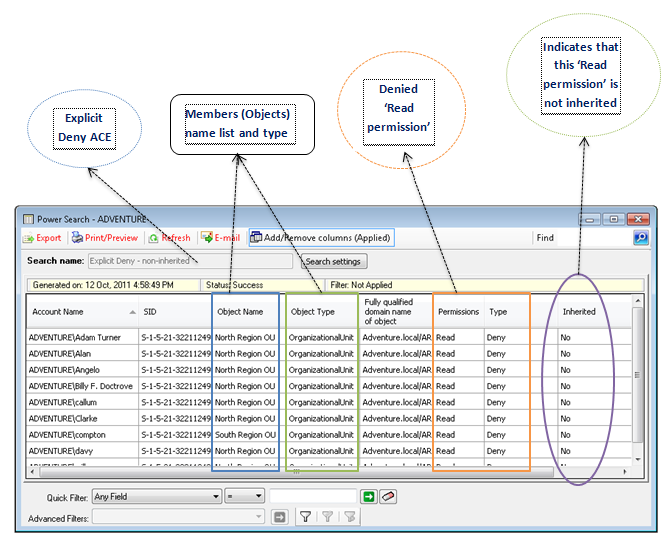 This wizard shows a summary of the search settings based on your selected options during the systematic approach. 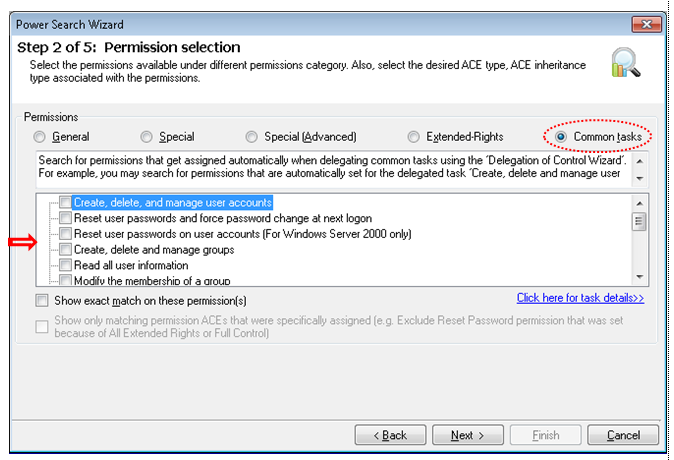 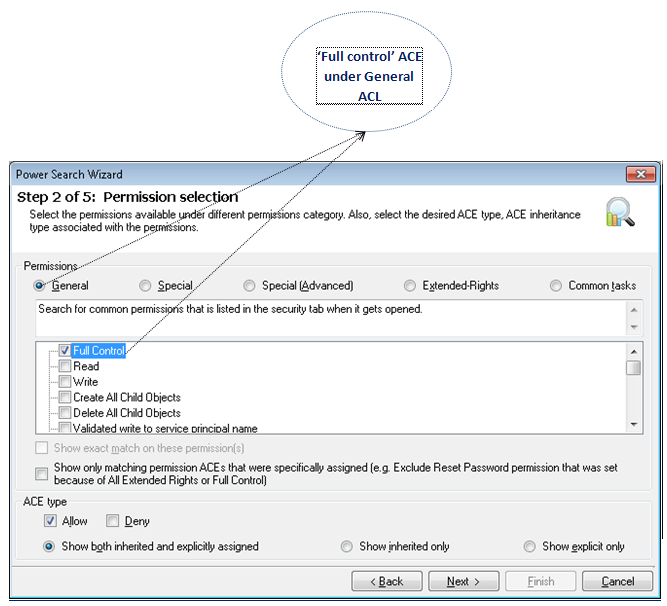 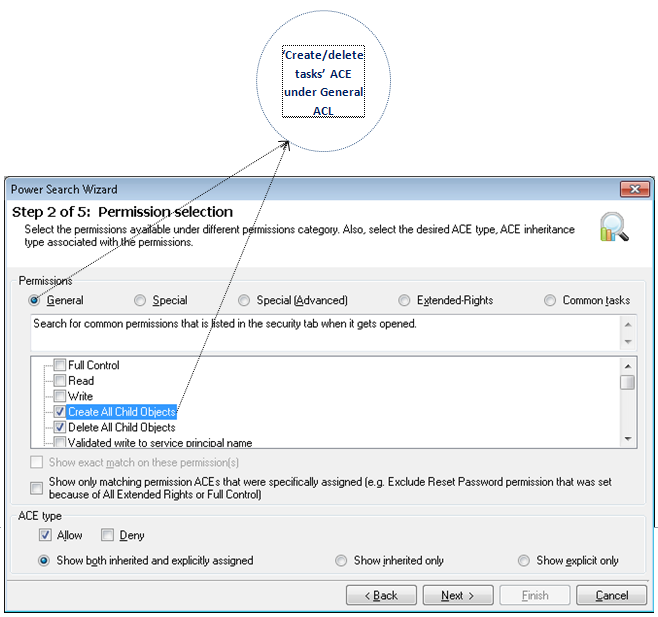 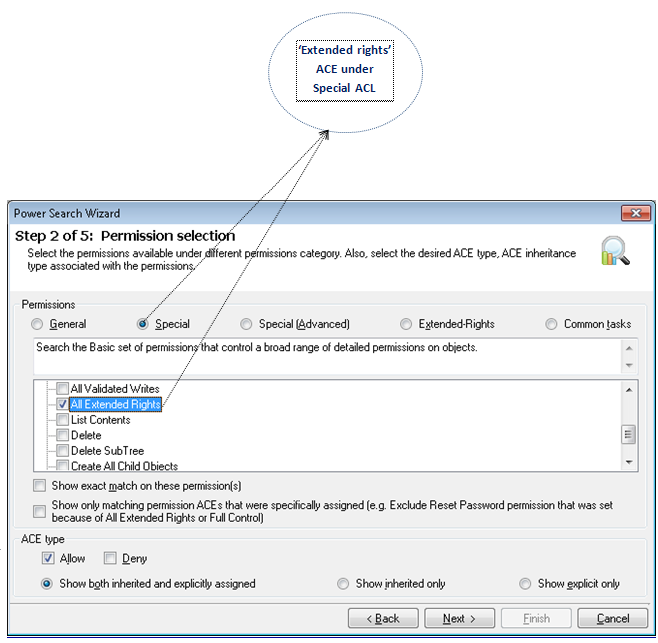 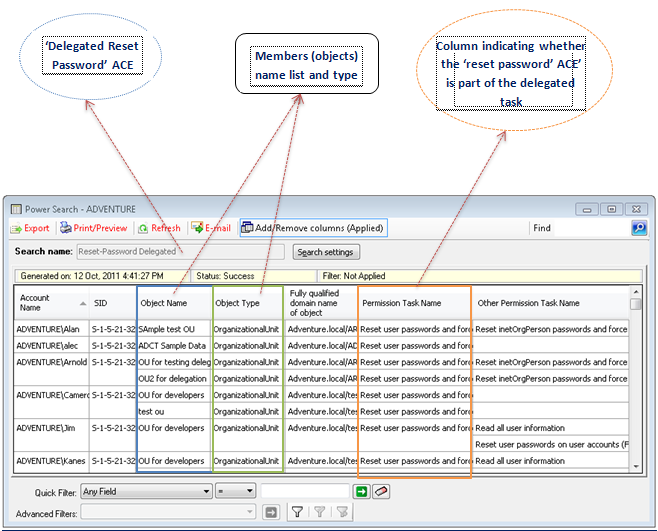 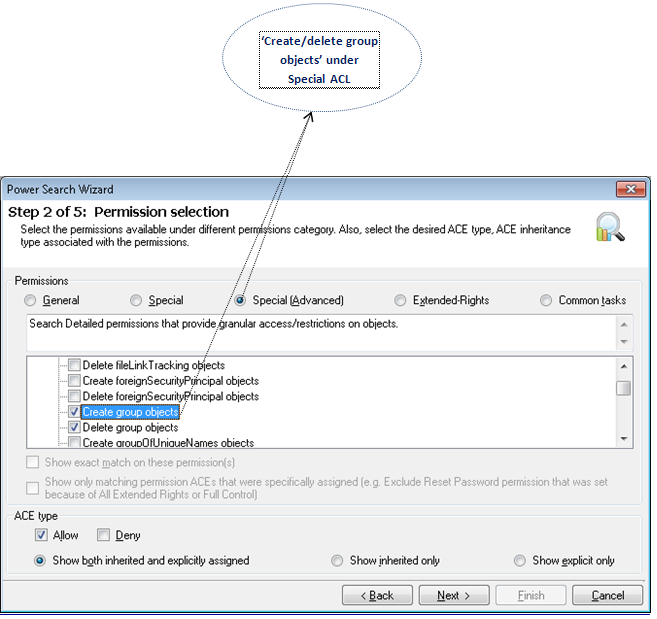 The most interesting news is that, there is one more fascinating feature about the Delegation control wizard, which now conducts an implicit search for the explicitly assigned ACE’s when a particular delegated task is chosen. 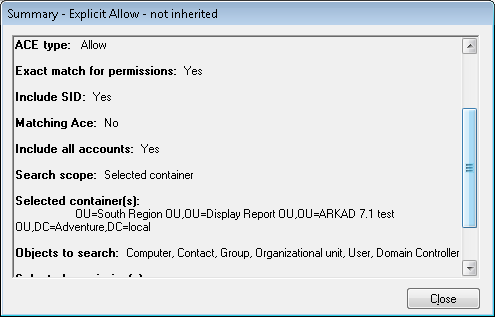 In other words, you may search for the permissions that are assigned by default while delegating rights to the OU accounts and containers. 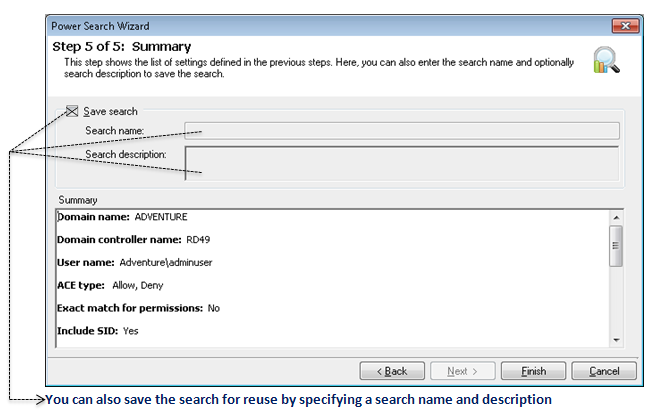 If you are interested in exploring these new features, please follow the link below to download a 30-day trial version of ARK for Active Directory software.